- Masters Degree in Manual Therapy which includes a significant amount of clinical research on the latest and most evidence based hands on treatment for all musculoskeletal conditions (Coventry University). - Taping - Rare extended skills in the use of taping in both ante-natal and post-natal clients for multiple pain conditions. Minal Gadhia is a specialist physiotherapist with 17 years experience in the NHS and private sector. She graduated with a I:I BSc (hons) in Physiotherapy from Kings College, London, a very highly regarded place of training in physio and worked initially in The National Health Service at a large training hospital. She then completed her masters in Physiotherapy at Coventry University. She has been working in private practice since 2003. She is a member of the Chartered Society of Physiotherapy (CSP); Health and Care Professions Council (HCPC), the Acupuncture Association for Chartered Physiotherapists (AACP) and Manipulation Association of Chartered Physiotherapists (MACP). All of which ensure safe and professional working standards of a high level at all times. Minal is highly experienced in the treatment and management of all neuromuscoluskeletal conditions. She has worked alongside a number of leading orthopedic and rheumatology consultants in Leicester whilst developing a wealth of pre and post-operative rehab experience from shoulders and elbows, to backs, hips, knees and feet. The 3 year Masters in Manual therapy allows her to combine many different approaches to physiotherapy to provide tailor made rehab programs specific to your individual needs. Her knowledge exceeds that of basically trained physio's. She has been a qualified acupuncturist specialising in musculoskeletal pain for over 15 years. As a member of the Acupuncture Association of Chartered physiotherapists (AACP), Minal continually trains to high levels of up to date practice, with extended education, in this very specific area of her practice. She has a special interest in pregnancy related musculoskeletal pain and post-partum recovery. She has been on a number of specialist antenatal and postnatal courses. With her enhanced training she is able to help people stay active and pain free during their pregnancy and resolve post- partum issues such as diastases (separation of your tummy muscles during pregnancy) and pelvic girdle pain. 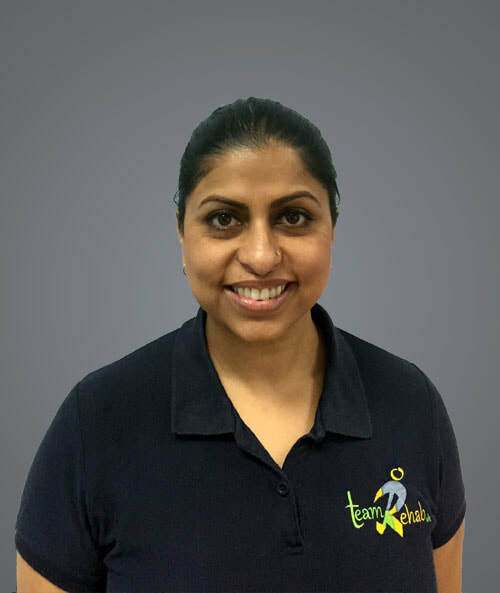 On top of her already impressive skills in musculoskeletal rehabilitation, this very specilised additional knowledge is one of the key reasons that we were keen for Minal to join Team Rehab uk. It is widely accepted that access to this type of physiotherapy around Northamptonshire in this area is very difficult in the private setting. Minal will be putting some more extended information up on the website in the New Year relating to this topic so keep checking back if this is of interest to you. Minal only joined Team Rehab uk in late November 17 and enjoyed a good break at Christmas, so we have yet to have any reviews, from completed treatments, to put up here as of yet. As these flood in however will will update her bio to reflect her expertise and appreciation of her clients. 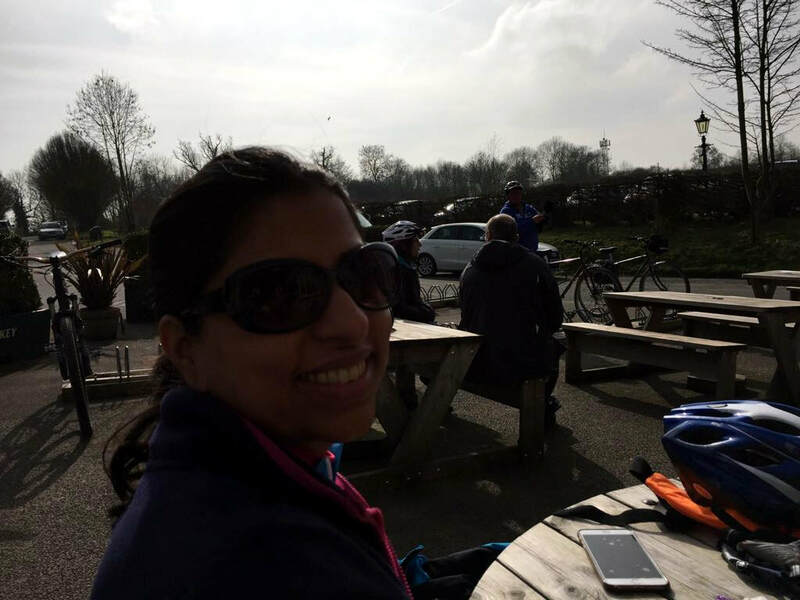 Outside of work Minal is a busy mum of 2 and enjoys staying active and keeping fit with her family. 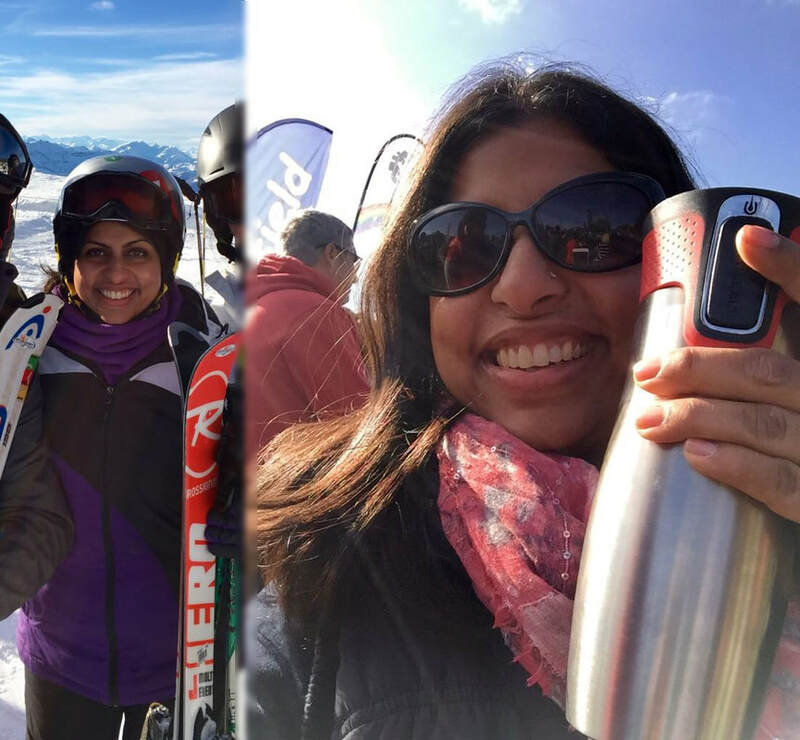 Despite having to fix no end of winter sports pursuitists, like her colleague Anna, Minal enjoys skiiing when the opportunity arises. She can also be talked in to a bike ride however we are deeply suspicious that she may detour to the pub as well! !